As a holster company, we know the importance of choosing where to wear your holster. Holster positioning is critical and you have to be careful in choosing where to carry what. 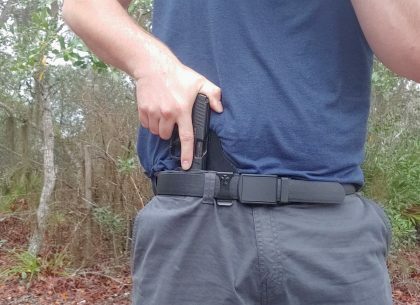 We’ve put together a little list of the most common positions for holsters and hopefully, you walk away a little more educated on what will work for you. OWB, or outside the waistband, is still a popular means of carrying a firearm. OWB is traditionally used by police and soldiers to carry their duty weapons. However, concealed carriers like myself still prefer an OWB method of carry. OWB carry tends to be extremely comfortable and accommodating to all sorts of different guns. OWB is also easy to draw from and often one of the quickest ways to draw a gun. Outside the Waistband is a very common method to carry a gun and doing it concealed can be challenging. For example, the new Reckoning Holster is my preferred option for a concealed carry OWB gun. The Reckoning positions the gun tight to the body and its a minimalist holster. 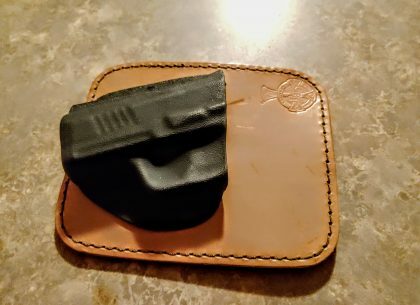 It combines the features I want in a concealed carry OWB holster and can be worn either IWB or OWB with the optional clips. It clings tight to the body. The holster utilizes passive retention and the combination of both leather and Kydex means the gun is comfortable for everyday carry. I can carry a full sized gun comfortably and concealed with much stress. IWB stands for inside the waistband and IWB is one of the most concealed ways to carry a gun. Inside the Waistband positions the gun inside your pants and uses your pants to cover most of the gun. IWB allows you to conceal a weapon very easily and you can do it in very lightweight clothes. A strongside IWB carry allows you to easily reach and draw your weapon in a variety of different positions. It’s just as fast as OWB on the draw and an IWB holster can be worn in a variety of ways. Strongside is the most common and what we are more or less talking about here. IWB makes it easy to carry a big gun, especially if you like to attach accessories to your gun. IWB makes concealment very easy with full sized guns. The downside is the bigger the gun the less comfortable it is to carry in an IWB holster. Using the Crossbreed Light Defender series, I can easily conceal carry a Glock 17 equipped with a Streamlight TLR-1 and a Miniature red dot. Keep in mind, I’ve been carrying concealed for ten years and I’m used to carrying big and heavy guns. The Light Defender does an extremely good job at concealing such a big weapon and does so comfortably. I won’t say that appendix carry is new, but it has become a bit more popular in the last few years. 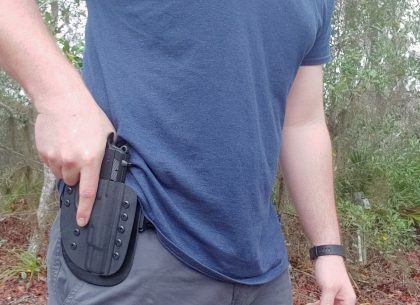 Appendix carry is an inside the waistband style of carrying that allows you to position the weapon in front of your body. Appendix carry has tons of benefits that are unique to it and it alone. For one it is very easy to draw from and you can do so very quickly. You can draw and fire very quickly with practice. Your hands naturally fall where the gun is resting so you can draw it quickly and naturally. It’s also a great way to carry if you have a smaller body type. 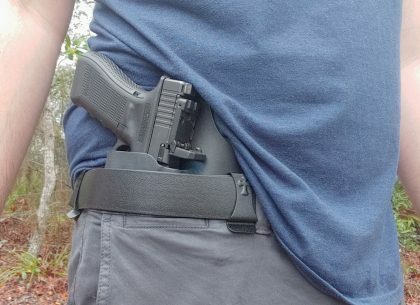 Appendix carry makes it very easy to carry a gun without any bulk hanging off your frame. You can make a gun absolutely disappear with little effort, all you really need is a light T-shirt and you’re good to go. 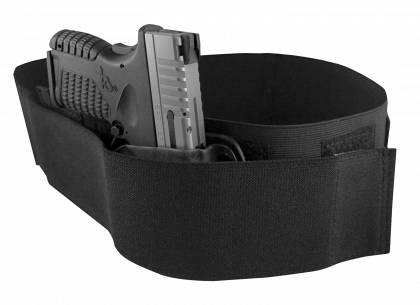 Appendix holsters are typically smaller than most and very sleek and dependable. 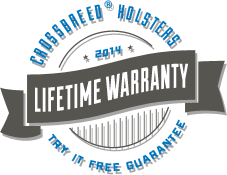 Where I personally find myself limited is when it comes to firearms selection. I typically find carrying a full sized gun uncomfortable when it comes to appendix carry. It makes it uncomfortable to sit and drive with a big gun. I tend to stick with a small gun for appendix carry. Pocket carry is pretty sweet when it comes to concealed carry. It's a way to carry anyone can do. You can't just shove a gun in your pocket, for safety sake you need a good pocket holster. Pocket carry is plenty comfortable and quite discrete. It’s quite convenient when it comes to daily carry. There are two main problems with pocket carry. The first is the ease of the draw. You have to reach in, grab the gun, and get it into action. Because you are shoving your hand in a pocket this isn't the easiest means to grab a gun. The second flaw is that you are stuck with relatively small guns. This limits you to small guns. There are multiple ways to pocket carry including front pocket, back pocket, and even cargo pocket. Cargo pocket gives you the quickest draw, and the ability to carry a bigger gun. However, you got to wear cargo pants to make it work. Ankle rigs are an old school cool way to carry. It’s one of the most concealable ways to carry a gun and is often a favorite of people looking to carry a backup gun. If you ankle carry it’s highly unlikely you’ll ever be made. Ankle carry is tricky though and it does come with a few limitations. First of all, you are restricted to a small carry gun. Next, drawing from the ankle is far from easy and does require you to move quite a bit to complete it. Ankle carry comfort can be tricky and you need extra support to really secure the gun. A strap around the ankle simply isn't good enough. You’ll need one across the calf to better secure and support the weapon. 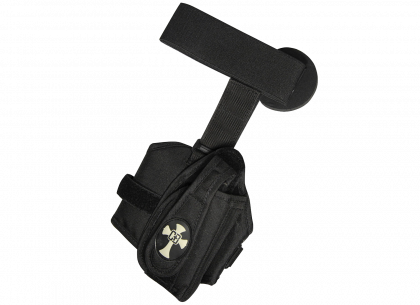 The Crossbreed Ankle holster does just that and it’s plenty comfortable for daily carry. A belly band is an elastic band that stretches across the stomach and conceals a gun inside the band. This allows people to carry without a belt, and off the waist. Why exactly would you do that? Well, comfort is the biggest reason. Carrying on the waist can be difficult for some people, especially for those who either dress very formally or for those who prefer to wear light clothing in general. A belly band allows you to carry a gun tucked under a shirt, and the shirt can be easily tucked in as well. The design allows you to position the gun in nearly any position and do so comfortably. No belt, no clips, nothing outside, or inside your pants. Perfect for wearing a dress or skirt. The CrossBreed model is the best, I’m not just saying that as a writer for CrossBreed but as someone who has used belly bands quite a bit. CrossBreed's model is the only one I know of that uses a Kydex, molded holster to carry a gun. This increases retention, concealment, and comfort. The downside is the band can get warm around the waist on hot days. It is another layer to defeat and its not always the easiest means to draw from. It is a great deep concealment device and perfect for a wide variety of concealed carriers. While on body methods of carrying is always preferred, we understand that some people simply aren't comfortable or, for whatever reason, cannot carry on person. For these instances, CrossBreed offers a Purse Defender. 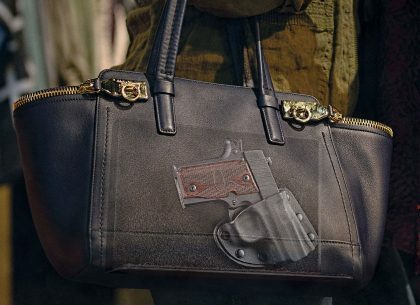 The Purse Defender system comes complete with an L-Shaped panel to use in any/all of your existing purses and satchels along with a handcrafted CrossBreed Modular Holster. The reason I own a literal box full of holsters is that I like to experiment with holsters. I have different holsters for different purposes and of course for different positions. The reality is: there is no perfect holster or perfect position and the trick to always being ready is owning a box full of holsters. 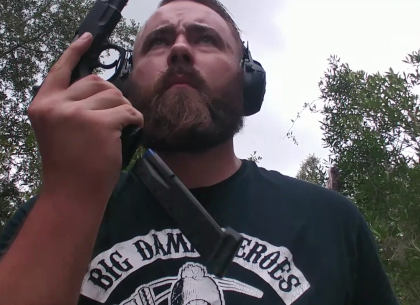 Take your time, experiment, and learn what works for you, your gun, and your clothing.